So you want a potting bench. Here are 10 great plans you can easily complete yourself. 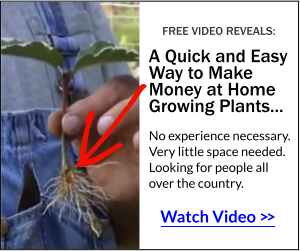 You have spent years putting strain on your back and knees potting and re-potting plants. It might be time for a Potting Bench! A potting bench will not only give you a place to store all your hand held gardening tools, but also a place to conveniently transplant, thin or grow seedlings for your garden. Potting benches are not only practical, they can be very attractive and an extension of who you are. And, if done right, will be around for years of enjoyment! You can build your very own potting bench in a day or a weekend. It can be as easy or as intricate as you desire. I did a quick trip around the internet and here are some of the benches I thought were really neat. A good potting bench should be functional and something you want to spend time working with your plants. 1. This bench is very practical and attractive. It’s a smaller bench but I am sure much can be done. 2. Now, if you’re anything like me, you like videos. 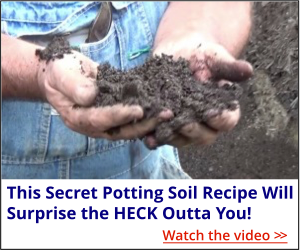 Here are some instructional videos on how to make your very own potting benches. 3.Advertised as a “bare bones” potting bench, but still seems pretty cool! 4. This one I love! Why? Because it’s made out of pallets. I love reusing anything. Not only is this potting bench eco-friendly it’s also very attractive. If you enjoy this rustic look, this video is for you. 5. This offering is a bit more involved but I’m sure you’re up to the task! 6. Nothing like Cedar. This potting bench includes an adjustable lighting fixture above for getting your seedlings started during that time of year we are all waiting for spring to, well, spring! 7. Here is another potting bench from Ron Hazelton. A little more involved like the first but what’s life without a challenge? 8. If you’re anything l like me, this one you’re going to love. It’s super easy and legless. Are you wondering what that means? It caught my attention. Watch this video. 9. If the above videos are not giving you enough information, check out this video and the link below for a potting bench – with a storage area for dirt – with full instructions. All the options you need. 10. And now the coolest one I have found – it’s a portable potting bench. You read that right. I couldn’t believe it myself. But here is a video and the full instructions. So, there you have it. 10 ideas for your new potting bench. If you’re not into woodworking and don’t own so much as a saw, no worries! Your local lumber company or big-chain lumber stores, more often than not, will cut the lumber to your specifications. They will even help you find all the hardware for your project. Problem solved! Did you like this post? If so, click the big blue Facebook button at the top of the screen and share it with your family and friends… they’ll thank you for it! The easiest one for most folks to start with has got to be one built atop a couple of sawhorses spanned by a hunk of sturdy plywood with a home built or easily assembled bookcase for easy temporary grab and use items, now to be used for casual home use or to simply test market the reasonable plan you offer for those who wish to expand their gardening skills to a new field of personal enterprise. I like Mike’s better, big and roomy, room for spare pots on the top shelf, room for three cases of pots on the bottom shelf. Places for screws to hang tools and stuff from. No wheels on it, it is in the garage not the green house. Lots of light over the top and a 4 X 8 plywood table for putting plant trays on with plants behind me , and a big 55 gallon covered trash can with potting soil next to the bench. It is another one of Mike’s really great tools. I wish more of the internet photos were working benches not with flowers on them to make them look pretty. I like to see where the “Rubber Meets the Road” photos, like Mike’s photos and videos.